If you have carrier billing with a mobile network provider, please view our Carrier Terms of Service instead. 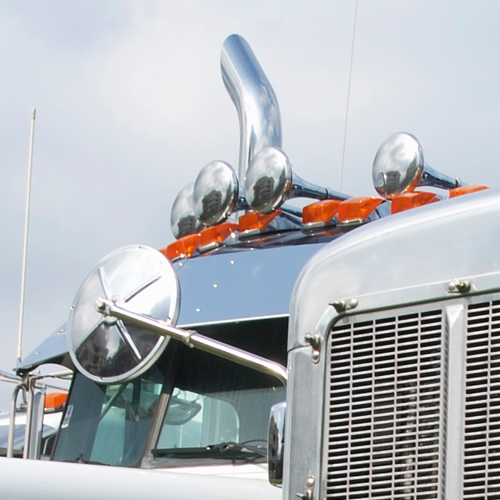 BigRoad Incorporated (“BigRoad”) owns or licenses certain technology that it has developed and makes commercially available to users through mobile services and/or web applications to assist in efficient operations of truck and motor coach fleets in North America. In connection with the use of the Applications and the provision of Support, or the purchase or rental of Hardware (all as further defined below), you and/or your organization or corporation (the “Customer”) hereby agree to the terms of service and conditions contained herein (collectively, the “Terms of Service”). BY ACCEPTING THE TERMS OF SERVICE, EITHER BY: A) ACCEPTING THE TERMS OF SERVICE WITHIN THE MOBILE APPLICATION, B) SIGNING THE ORDER FORM (AS DEFINED BELOW) WHICH REFERENCES THE TERMS OF SERVICE, OR C) USING, INSTALLING, ACCESSING OR ACTIVATING THE APPLICATIONS OR HARDWARE APPLICATIONS AFTER BEING MADE AWARE OF THESE TERMS OF SERVICE, THE CUSTOMER ACKNOWLEDGES THAT IT HAS READ AND UNDERSTOOD ALL OF THE PROVISIONS, AND HAS THE AUTHORITY TO AGREE TO, AND IS CONFIRMING THAT IT IS AGREEING TO, COMPLY WITH AND BE BOUND BY, ALL OF THE TERMS AND CONDITIONS CONTAINED HEREIN, TOGETHER WITH ANY ORDER FORM AND INCLUDING BIGROAD’S PRIVACY AND ANTI-SPAM POLICY LOCATED AT http://www.bigroad.com/privacy, ALL OF WHICH ARE INCORPORATED BY REFERENCE AND DEEMED TO BE PART OF THE ENTIRE AGREEMENT ENTERED INTO BETWEEN BIGROAD AND THE CUSTOMER WHICH TOGETHER SUPERSEDE ALL PRIOR OR OTHER AGREEMENTS BETWEEN THE PARTIES ON THE SUBJECT MATTER HEREIN. IF, AFTER READING THE TERMS OF SERVICE, THE CUSTOMER DOES NOT ACCEPT OR AGREE TO THE TERMS AND CONDITIONS CONTAINED HEREIN, THE CUSTOMER SHALL NOT USE, INSTALL, ACCESS OR ACTIVATE THE APPLICATIONS OR HARDWARE. THE CUSTOMER MAY NOT ENTER INTO THE TERMS OF SERVICE AND/OR ACCESS THE APPLICATIONS IF IT IS A COMPETITOR OF BIGROAD OR ANY OF ITS AFFILIATES. “Agents” includes but is not limited to employees, agents, consultants, contractors, representatives, directors, officers, shareholders, suppliers or affiliates. “Applications” mobile and/or web applications and related systems used to manage, process and report data and interface with and manage Hardware, which may include materials owned by third parties pursuant to an agreement with BigRoad, as may be amended, enhanced or modified from time to time by BigRoad. “Confidential Information” means all data and information of a confidential and proprietary nature of a party (whether in writing or orally), relating to the business of a party or its affiliates in any way whatsoever, including, but not limited to, Intellectual Property, information and data relating to business operations, methods of operating, customer information and affairs, processes, personnel as well as financial, production, scientific and technical data and information, formulae, strategies, studies, reports and evaluations. “Documentation” means any on-line user guides, documentation, and help and training materials with respect to the Product, provided by BigRoad and as may be amended from time to time. 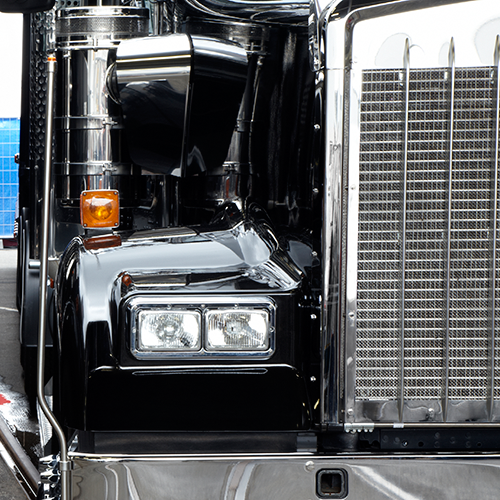 “Hardware” means BigRoad’s proprietary Electronic Logging Device (ELD) for fleet operation dispatch and compliance, commercially known as “Dashlink”, to be used in connection with the Applications, and includes “Rented Hardware”. “Intellectual Property” means any and all intellectual property owned by BigRoad, its Confidential Information, the Applications, Hardware and Documentation, and all modifications, enhancements, corrections and additions thereto, including, without limitation, all technical information, technical data, databases, inventions, products, data, algorithms, design, methods, know‑how, processes, copyrights, patents, trade secrets, software (including object code and source code), models, patterns, drawings, specifications, prototypes, discoveries, techniques systems, works of authorship, ideas, and concepts, and all intellectual property rights therein (whether or not patentable or registerable under copyright, trade‑mark, trade secret or similar legislation or subject to analogous protection). “Order Form” means an ordering document or on-line purchase specifying the Applications and/or Hardware to be provided to the Customer, including any addenda and supplements thereto, into which these Terms of Service are deemed incorporated. “Personal Information” means any information relating to an identified or identifiable natural person as defined under applicable privacy laws. “Product” means collectively the Applications and the Hardware. “Support” means general maintenance services and technical support for the Product. “Systems” means a third party hosted facility and/or other system(s) used by BigRoad to host the Applications from time to time. “Taxes” includes but is not limited to all sales, uses, value added, or other taxes or duties, and any applicable export or import duties. 2.1 Grant of License. BigRoad hereby grants to the Customer, solely for internal use by the Customer, a non-transferable, non-exclusive right and license to access and use the Applications (the “License”) during the Term, which may be made available to Customer through a mobile application or on-line at https://app.bigroad.com/sign-in (or such other URL as BigRoad may designate from time to time) and hosted on the Systems used by the BigRoad. 2.2 Changes to License. Due to its policy of updating and improving the Product, BigRoad reserves the right to modify the Terms and update the License without notice at any time. It is therefore important that the Customer review the Terms of Service regularly to ensure the Customer is updated as to any changes, for by accepting these Terms of Service, the Customer is agreeing to be bound by any changes to the Terms of Service at any time in the future. To the extent that such changes are reflected in any modification to the License published with any upgrade or update to the Product, the Customer will be deemed to have accepted the modified terms at the time of acceptance and use of such update or upgrade to the Product. 2.3 Use of Product. The use of mobile devices while operating motor vehicles is subject to generally applicable laws governing transportation, occupational health and safety, and other rules and regulations, and may result in charges, citations, fines or other legal proceedings. Such use may also expose the Customer to risk of accidents or death. BigRoad does not assume any liability or responsibility under this License or otherwise for any damages, losses or other claims resulting from use of the Product while driving a vehicle. 2.4 Acknowledgement and Acceptance of Location Based Information. By accepting the License, the Customer acknowledges and consents to the creation, transmission and storage of GPS location information in the Applications through interaction between mobile devices on which Applications are installed and the Systems. BigRoad will use reasonable commercial efforts to ensure the accuracy of GPS and other location-based displays, but as BigRoad is dependent on third party hardware, software and services inputs in the Systems, BigRoad assumes no liability or responsibility in the event of inaccuracies in such information. 2.5 Links. The Applications contain links to other websites and applications provided by independent third parties ("Third Party Sites"). Where possible, BigRoad will make clear where such links are being made, though Third Party Sites may be co-branded with BigRoad and so include BigRoad trademark. The Customer acknowledges that BigRoad has no authority or control whatsoever over Third Party Sites, and is not responsible for the availability or content of Third Party Sites and will not be a party to, or liable or responsible in any way for, any information, declaration, misrepresentations, errors, omissions or any transaction concerning goods or services available from such Third Party Sites, and the Customer’s rights and obligations will solely depend upon the terms and conditions stated in such Third Party Sites. 2.6 Advertising and Sponsorship. The Product may contain, incorporate or integrate with external providers of advertising, sponsorship and other digital media content. The providers and publishers of such content are responsible for ensuring that material submitted for inclusion on the network complies with international and national law. BigRoad will not be responsible to the Customer or any other person for any claim relating to the content of or for any error or inaccuracy in any digital material displayed within or in association with the Product. (h) use information provided by the Product to feed or encourage services competitive to BigRoad, or harvest, collect or store information or any content obtained through the Applications for any purpose. 2.8 Customer Representations, Warranties and Indemnity Re: Customer Information. Customer hereby represents and warrants throughout the term of this Agreement that Customer will not upload or transmit any Customer Information (as hereinafter defined): (i) Customer does not have the lawful right to copy, transmit, distribute, and display; or (ii) violates, or encourages any conduct that would violate, any applicable law or regulation, including, in particular, applicable privacy laws, or would give rise to civil or criminal liability. Customer shall defend, indemnify and hold BigRoad harmless from and against any loss, damage or costs (including reasonable legal fees) incurred in connection with any claims, demands, suits, or proceedings made or brought against BigRoad by a third party based on, relating to or caused by a breach of its warranties in this Section 2.8 or a breach of any applicable privacy laws by Customer in relation to the collection of Customer Information containing Personal Information by Customer from its Agents. 2.9 General Support and Maintenance: BigRoad shall provide Support throughout the Term, during Business Days. Customer acknowledges that the Support will not be available during system maintenance periods, or such times as BigRoad may require for purposes of upgrades and maintenance to Applications, and BigRoad will make reasonable efforts to announce the scheduled downtime via e-mail to Customer's designated e-mail address. Support does not include services required as a result of (i) Customer misuse, improper use or alteration of Product; (ii) any problem caused by modifications in any version of the Product not made or authorized by BigRoad; or (iii) any problem resulting from Customer combining or merging the Applications or Hardware with any software or hardware not supplied by BigRoad, or not identified by BigRoad as compatible with the Product. 2.10 Extended Support, Customization and Other Services. If Customer wishes to have BigRoad provide additional custom development and/or support and or other services (collectively, “Additional Services”), the Parties will negotiate the terms and conditions of the Additional Services which shall be incorporated into a separate agreement, including a description of the Additional Services, milestones for delivery, payment amounts due, and other mutually agreed terms and conditions. BigRoad shall in all cases own any and all Intellectual Property developed as a result of the Additional Services. (a) General. The Applications include code, content, features, functionality, components and services that are provided by third parties (“Third Party Services”). Unless Customer is required to accept and agree to an end user license agreement or terms of service for a Third Party Service in order to access and use such Third Party Service, BigRoad hereby grants a fully paid, royalty free sublicense to Customer to use each such Third Party Service in connection with its use of the applicable Application. The Customer’s use of a Third Party Service in conjunction with the Applications in a manner consistent with the terms of this Agreement is permitted and the License grant, proprietary rights, warranty, indemnity and limitation of liability provisions in this Agreement will apply to Third Party Services. (b) BigRoad Freight. 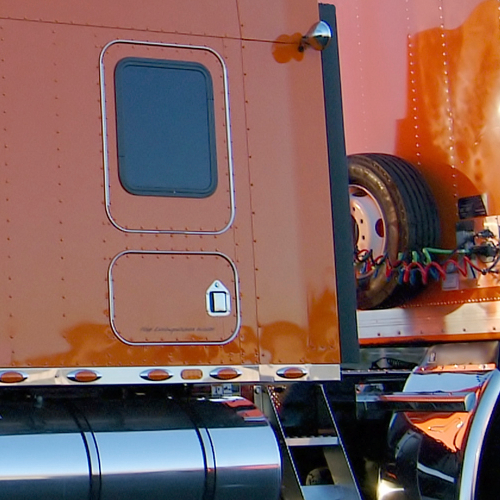 The Applications include a Third Party Services known as BigRoad Freight™ (“BigRoad Freight”). If BigRoad Freight is activated by the Customer then Customer hereby consents to the sharing of Customer Information, including Personal Information of its Agents, with FleetRover Inc., the licensor of the BigRoad Freight software. 3.1 Purchase or Lease of Hardware. The Customer may purchase the Hardware from BigRoad for the purchase price set out in the Order Form (the “Purchase Price“), or may rent Hardware (“Rented Hardware”) at the monthly price set out in the Order Form on the terms and conditions set out therein and in these Terms of Service. The Hardware shall be shipped by BigRoad in accordance with the Order Form, and while BigRoad shall use reasonable efforts to meet any requested delivery date for the Hardware, in no event shall BigRoad be liable for any delays with respect thereto. 3.2 Use of Hardware. The Customer shall be responsible for any and all costs associated with the installation of the Hardware, and agrees to use the Hardware solely in connection with the Applications. The Customer shall be solely responsible for the operation and maintenance of the Hardware by competent personnel in compliance with BigRoad instructions and documentation, and all applicable laws and regulations. The Customer may not permit any other provider of engine-connected services to use the Hardware at any time. The Customer, at its own cost and expense, shall comply with and conform to all applicable laws, ordinances, regulations and legislation in any way relating to the possession, use, operation, repair, maintenance, transportation, import or export of the Hardware. 3.3 Maintenance and Replacement of Hardware. BigRoad warrants that the Hardware shall be free from defects in materials and workmanship, and function substantially in accordance with applicable Documentation, (i) with respect to Hardware purchased by the Customer, for a period of one (1) year from the date of delivery, and (ii) with respect to Rented Hardware, throughout the Term. Any malfunction in the Hardware shall be reported by Customer to BigRoad without delay, and if BigRoad so notifies the Customer in writing authorizing the return, the Customer shall return the Hardware to BigRoad, at Customer’s cost. If BigRoad determines that the malfunction was caused by the Customer or its Agents, the Customer shall be responsible for all costs related to the repair or replacement, and return shipping of the Hardware. If BigRoad determines that the malfunction was as a result of a manufacturing problem, BigRoad will: (a) repair or replace the Hardware and return it to the Customer at no cost to Customer, or (b) if the Hardware was purchased, BigRoad may, at its sole discretion, provide a credit to the Customer for the unused portion of the Purchase Price paid for purchased Hardware, prorated over 36 months. The warranty on any repaired or replaced purchased Hardware shall expire at the end of the applicable warranty period for the original Hardware unit. BigRoad shall have no liability under this limited warranty due to Customer’s (i) failure to improperly use the Hardware, including operating or using the Hardware in combination with products not manufactured or approved by BigRoad, or (ii) alteration, modification or misuse of the Hardware, and BigRoad’s sole liability arising out of any sale or lease of Hardware to the Customer, and Customer’s sole and exclusive remedy is expressly limited, at BigRoad’s option, to either (i) refund the Purchase Price for the Hardware as herein provided, or (ii) repair or replace the Hardware. 4.1 Subscription Fees. The Applications are provided to the Customer as a subscription service, with fees payable for access to Applications as invoiced by BigRoad (“Subscription Fees”), exclusive of all applicable taxes. Unless the Order Form otherwise provides, Applications are provided to the Customer on a month-to-month basis, and the Customer will be billed monthly, in advance, for applicable Fees, including without limitation, Subscription Fees and any other recurring service charges, equipment charges, or fees. The Customer’s first bill may include pro-rated charges from the date the Customer first accesses the Applications, as well as monthly recurring charges for the next month and charges for non-recurring services the Customer may have received. BigRoad reserves the right to modify the Subscription Fees at any time on thirty (30) days’ notice to the Customer, provided that in the event of a fixed Term in any Order Form, BigRoad shall only have the right to amend the Subscription Fees for any renewal term. 4.2 Hardware Fees. The Purchase Price for Hardware shall be as outlined on the applicable Order Form, and shall be due and owing in full, without offset or deduction, within 30 days from date of invoice, all as may be further outlined in the Order Form. Applicable fees for Rented Hardware shall be payable monthly, in such amounts and as further outlined in the Order Form. All prices quoted on Hardware shipped are Free Carrier (shipping) to the Customer’s facility, and the Customer may be required to pay shipping, freight and other charges in advance, if required by BigRoad. Hardware is totally non-refundable (except as may otherwise be provided herein). To secure the payment in full of the Purchase Price, the Customer hereby grants to BigRoad, and BigRoad shall retain a purchase money security interest in all Hardware until the Purchase Price together with applicable interest and any late payment charges have been paid in full. To secure the Purchase Price of the Hardware, the Customer hereby hypothecates and grants a security interest in the Hardware in favour of BigRoad in the amount of the Purchase Price and any applicable interest and late payment charges (applicable in the Province of Quebec only). If requested by BigRoad, the Customer shall, at its own expense, execute financing statements or other instruments necessary to perfect the above security interest. 4.3 Payment. All amounts owing by the Customer will be due on such dates and for such amounts as indicated in the relevant Order Formand/or invoices provided by BigRoad to the Customer. All Fees are quoted in U.S. dollars and are non-refundable, except as may otherwise be provided in an Order Form. In no instance shall any prepaid amounts be offset against the Customer’s account balance with BigRoad. Any payment not received from the Customer by the due date shall accrue interest at the lower of 1.5% of the outstanding balance per month (being 18% per annum), or the maximum rate permitted by law, whichever is less, from the date such payment is due until the date paid in full, with interest calculated and payable monthly in arrears based on the amount outstanding as of the last business day of such month. The Customer shall also pay all sums expended (including reasonable legal, collection and recovery fees and expenses) in collecting overdue payment. 4.4 Taxes. The Customer shall be responsible for all applicable Taxes payable with respect to the Product, including without limitation in respect of any Fees arising in connection from the use of the Applications, Support provided to the Customer, and the registration, licensing or possession, use or operation of any Hardware, and shall indemnify and hold harmless BigRoad from any Taxes due and payable hereunder. (a) Late or Non-Payment: The Customer may be billed additional fees, charges, and assessments related to late or non-payments if for any reason BigRoad does not receive payment for any amounts owing by the payment due date, or the Customer pays less than the full amount due for the Product. (b) Collection Costs: If BigRoad uses a collection agency or attorney to collect money owed by the Customer, the Customer agrees to pay all costs of collection. (c) Suspension/Disconnection: If the Customer fails to pay the full amount for any or all amounts due and owing, BigRoad, at its sole discretion in accordance with and subject to applicable law, may suspend any or all the Applications the Customer receives without liability to BigRoad until such amounts are paid in full. BigRoad’s right to suspend an account is in addition to any other rights and remedies available to BigRoad in the event of non-payment, including interest on overdue amounts and the termination rights set forth herein. BigRoad shall not be liable to Customer or to any other person as a result of any suspension or termination of access to the Applications or Support. A suspended account does not remove Customer's obligation to pay those amounts outstanding to the date of such suspension or thereafter for the remainder of the Term, as the case may be. If the Customer requests the resumption of Applications after suspension or disconnection, upon payment in full of all amounts owing, BigRoad may require the Customer to pay a reconnection fee and/or service activation fee, as the case may be, in addition to all past due charges and other fees. 4.6 Mobile Network Charges. The Customer is solely responsible for all of its own software, network and internet connection costs related to its use of the Product, including but not limited to mobile phone or mobile network data usage fees and applicable roaming charges which are provided by the Customer’s mobile network provider under the Customer’s separate contracts with them, and BigRoad is not responsible for these data services or any costs related thereto whatsoever. (b) if a fixed Term is otherwise provided for in any Order Form (a “Fixed Term”), for the Fixed Term, which shall automatically renew on expiration for subsequent periods of one (1) year (each, a “Renewal Term”) unless terminated by either party as outlined below, and during each Renewal Term, Fees shall be deemed to be BigRoad’s then-current Fees. (f) immediately and automatically if it is determined that BigRoad would be prohibited from doing business with the Customer under any applicable law, including any export regulations and controls. (e) provisions regarding ownership, intellectual property, confidentiality, warranty and indemnity, and all other provisions which expressly or by their nature are intended to survive termination, shall survive termination of these Terms of Service. 6.1 Ownership. The Customer acknowledges and agrees that all Intellectual Property in the Product and all rights therein and thereto are solely owned and/or licensed by BigRoad, and neither it nor its Agents shall acquire any right, title or interest in, to or under the Intellectual Property or any part thereof in the Product, except such limited rights with respect thereto as may expressly be given hereunder. In the event that the Customer or Agents acquire any such right, title or interest in, to or under any of the Intellectual Property of BigRoad, it hereby transfers and assigns and/or causes its Agents to assign in perpetuity and without further compensation, all of such right, title and interest to BigRoad, and hereby waives all moral rights with respect thereto, from the moment of their creation or acquiring and shall in all cases execute such documents and do all such things as may be reasonably requested from time to time to give effect to the foregoing. Any rights not expressly granted herein are reserved by BigRoad. Customer shall forthwith report to BigRoad any update and enhancement to the Product and its use, operation and deployment and hereby assign to BigRoad, free of charges, fees or royalty, any such update or enhancement from the moment of their creation. The Customer shall promptly notify BigRoad of: (i) any claims, allegations, or notifications that the Product may or will infringe the Intellectual Property rights of any other person or entity, and (ii) any determination, discovery, or notification that any person or entity is or may be infringing the Intellectual Property rights of BigRoad. The Customer acknowledges and agrees that any goodwill created by the Customer with respect to the Product is the sole property of BigRoad, and shall indemnify and save harmless BigRoad with respect to any third party claim that the Customer’s actions with respect to the Product have infringed any third party’s intellectual property rights. All of BigRoad’s Intellectual Property shall be deemed to be Confidential Information, and the Customer shall be bound by all confidentiality provisions with respect thereto. 6.2 Trademarks and Logos. BigRoad and the BigRoad logo, trademarks and all other proprietary marks (“Trademarks”) are the sole property of BigRoad, and the Customer shall not reproduce, use, modify or distribute Trademarks without the prior written permission of BigRoad, nor contest or challenge ownership of the Trademarks, or take any action to acquire any right therein. Customer agrees that its use of the Trademarks and any goodwill associated therewith shall enure exclusively to BigRoad’s benefit. The Customer shall promptly notify BigRoad in writing of any unauthorized use or infringement of the Trademarks promptly upon receipt of notice thereof. The Customer agrees that BigRoad may use the Customer’s name and logo to identify the Customer as a customer of BigRoad’s on BigRoad’s website, and as a part of a general list of BigRoad’s customers for use and reference in BigRoad’s corporate, promotional and marketing literature. Additionally, Customer agrees that BigRoad may issue a press release identifying Customer as a BigRoad customer and describing Customer’s utilization and the benefits that Customer receives from use of the Product. 7.1 Confidentiality Obligations. All Confidential Information furnished by or on behalf of one party (the “Disclosing Party”) to the other party (the “Receiving Party”) shall be kept confidential by the Receiving Party, and each party agrees to preserve the strict confidentiality of such information in the same manner as it protects the confidentiality of its own information and data (at all times exercising at least a reasonable degree of care in the protection of the Confidential Information). The Receiving Party shall not acquire any right or license of any kind regarding any Confidential Information of a Disclosing Party and shall not use or disclose Confidential Information to any party other than for purposes herein or otherwise authorized in writing by the Disclosing Party; provided, however, that the Receiving Party may disclose the same to its authorized Agents exclusively for the purposes herein or otherwise authorized in writing by the Disclosing Party, provided they are bound in writing to confidentiality provisions as stringent as those provided herein, and the Receiving Party shall be responsible for all violations whatsoever by its Agents. (f) is required to be disclosed by law or valid order of a court or other governmental authority, provided that the Receiving Party shall first have given prompt notice to the Disclosing Party of such request, the Disclosing Party has a reasonable time to attempt to limit or prevent such disclosure, and Receiving Party makes any required disclosures in consultation with the Disclosing Party and only discloses that portion of the Confidential Information which is legally required. 7.3 Irreparable Harm. Each of the parties acknowledges that any unauthorized disclosure and use of Confidential Information will cause irreparable harm to the Disclosing Party for which damages may not be an adequate remedy. In the event of unauthorized disclosure and use of its Confidential Information, such party shall, in addition to any other rights or remedies it may have in law or equity hereunder be entitled to injunctive relief. 7.4 Survival. The obligations of confidentiality shall remain in effect throughout the Term and for a period of seven (7) years following the expiration or earlier termination, or such longer period as the relevant Confidential Information is no longer considered Confidential Information. 8.1 Limited Warranty. BigRoad warrants that it owns or licenses the Product, and that to the best of its knowledge, the Customer’s use of the Product will not infringe the Intellectual Property rights of any third party. BigRoad warrants that the Product will operate in substantial conformity with the Documentation, and BigRoad will take reasonable commercial efforts to ensure the optimum performance of the Product and reasonable levels of system uptime and availability. The Customer acknowledges and agrees that it uses the Product, and relies on content contained in or resulting from the Product, at the Customer’s sole discretion and risk, that the nature and use of the Product requires the exercise by the Customer of subjective judgments as to accuracy, materiality, relevance and other factors of the data produced, and it is the responsibility of Customer to review, check and confirm results, and it will be solely responsible for any damage to its business, systems or loss of data that may result from the use of the Product. 8.2 Acknowledgment regarding Internet. The Customer acknowledges and accepts that, despite the internet being accepted as a secure environment, there may be interruptions in service or events, and access to the Applications may be interrupted, suspended or terminated from time to time, due to circumstances both within and beyond the control of BigRoad. Despite BigRoad’s reasonable commercial efforts to keep the Applications accessible at all times, the Applications may be unavailable from time to time for any reason, and the Customer acknowledges and agrees that BigRoad shall not be responsible at any time for any claims, data lost or damages incurred while transmitting information on the internet with respect to the Applications. While BigRoad shall take reasonable precautions to ensure security of the Product and to protect Customer Information, Customer acknowledges that the internet provides the opportunity for unauthorized third parties to gain access to the Applications and Customer Information. Accordingly, BigRoad cannot and does not guarantee the privacy or security of any Customer information transferred over or stored in any system connected to the internet, and BigRoad disclaims any warranty or representation that confidentiality of information transmitted through the provision of the Product can or will be maintained. The Customer acknowledges that BigRoad shall not be liable for any access to or usage by third parties of any information used in connection with the Product, and BigRoad’s sole and exclusive liability shall be for BigRoad to correct any reported problem in the Applications directly attributable to its own support failure. 8.3 Limitation of Liability. Except for the specific limited warranties provided herein, BigRoad gives no warranties or conditions (whether implied or arising by statute or otherwise in law, or from a course of dealing or usage of trade) with respect to the Product, and no representation as to accuracy, availability or usability. To the fullest extent allowed by applicable law, except for the limited warranties specifically provided herein, BigRoad hereby disclaims all warranties, conditions or duties of every nature whatsoever, including without limitation, any implied warranties of merchantability or of fitness for a particular purpose, that the functions contained in the Applications will meet the Customer’s requirements, or that the operation of the Applications will be uninterrupted, timely, secure or error free. Additionally, except for the limited warranties specifically provided herein, BigRoad makes no warranty that Product will operate precisely as described or that all errors will be corrected, or that the Applications are free from infection by viruses, bugs or other defects that can impact on the Product. The Customer hereby waives all claims against BigRoad for interference, disruption, or incompatibility between the Product and the Systems, and in the event of such interference, disruption, or incompatibility, the Customer’s sole remedy shall be to terminate the Applications as provided herein. BIGROAD AND ITS AGENTS SHALL IN NO EVENT BE LIABLE FOR ANY LOSS, INJURY, CAUSE OF ACTION (WHETHER IN CONTRACT, NEGLIGENCE, TORT OR OTHERWISE), LIABILITY OR DAMAGE OF ANY KIND (INCLUDING PERSONAL INJURY OR PROPERTY DAMAGE) FOR ANY CAUSE RELATED TO OR ARISING OUT OF THIS AGREEMENT. IN NO EVENT SHALL BIGROAD OR ITS AGENTS BE LIABLE FOR ANY SPECIAL, INCIDENTAL, CONSEQUENTIAL, PUNITIVE OR EXEMPLARY DAMAGES OF ANY KIND (INCLUDING, WITHOUT LIMITATION, LEGAL FEES), WHETHER OR NOT FORESEEABLE INCLUDING WITHOUT LIMITATION, LOSS OF BUSINESS, LOST PROFITS OR REVENUE, FAILURE TO REALIZE EXPECTED SAVINGS, LOST DATA OR ANY FAILURE OF SECURITY RESULTING FROM (I) THE USE OF OR INABILITY TO USE THE PRODUCT, OR (II) THE PROVISION OF OR FAILURE TO PROVIDE SUPPORT, EVEN IF BIGROAD HAS BEEN ADVISED OF THE POSSIBILITY OF SUCH DAMAGES. The Customer agrees that the Customer’s only recovery for any damages that the Customer may incur, and the Customer’s exclusive remedy, shall be limited to the direct damages the Customer actually incurs up to the maximum aggregate amount of Fees that BigRoad received from the Customer during the six (6) month period immediately preceding the date on which the event giving rise to the cause of action is alleged to have occurred, irrespective of the nature of the claim. No action against either party or any of its Agents, regardless of form (including negligence), arising out of or in any way related to hereto may be brought by the other party more than one year after the cause of action has arisen. provided however that BigRoad shall have no liability respecting any claim of infringement or breach to the extent such claim is based upon the combination, operation or use by the Customer of the Applications or Hardware with other equipment, software, apparatus, devices or things not supplied by BigRoad or in a manner not substantially consistent with BigRoad specifications and Documentation. This section states the entire liability of BigRoad for any type of infringement or breach whatsoever of intellectual property rights of third parties resulting from or relating to the provision by BigRoad of the Product or Support. (c) the aggrieved party shall cooperate fully to the extent necessary, and execute all documents necessary for the defense of such claim. 9.1 Non-Solicitation/Non-Interference. The Customer is prohibited from soliciting or hiring any Agents of BigRoad (either directly or indirectly), without written permission of BigRoad, at any time during the any Agreement, and for a period of two (2) years following its termination. The Customer shall not at any time interfere or attempt to interfere with the business of BigRoad, or persuade or attempt to persuade any customer or prospective customer of BigRoad to discontinue or alter its relationship with BigRoad. 9.2 Dispute Resolution. In the event of a dispute of the Terms of Service, the parties will use good faith efforts to settle such dispute within thirty days of notice of the dispute being delivered, failing which the dispute shall be finally settled by arbitration in accordance with the Arbitration Act (Ontario). The arbitration award shall be final and binding upon the parties and judgment thereon may be entered in any court having competent jurisdiction. The costs of the arbitrator shall be borne by the unsuccessful party to the arbitration. 9.3 Force Majeure. Neither party hereto shall be liable to the other for delay in any performance or for the failure to render any performance of obligations when such delay or failure is a direct result of any present or future statute, law, ordinance, regulation, order, failure to deliver on the part of its suppliers, judgment or decree, act of God, earthquake, epidemic, explosion, lockout, boycott, strike, labor unrest, riot, war, or similar catastrophic occurrence. Notwithstanding the foregoing, these provisions shall not be applicable to any obligation involving the payment of money by the Customer. 9.4 Notices. Any notice given by one party to the other shall be sufficiently given if (a) personally delivered or couriered, (b) mailed by regular mail, or (c) sent by facsimile or other electronic transmission, and shall be deemed to be received by the recipient on the fifth business day after mailing, if sent by mail, and on the day of delivery if delivered or sent by facsimile. Such notices shall be sent to the parties at the address provided in the relevant Order Form. 9.5 Jurisdiction. The Terms of Service and any Order Form shall be governed by and construed in accordance with the laws of the Province of Ontario and the federal laws of Canada applicable therein, without reference to conflicts of law principles. The Customer irrevocably attorns to the exclusive jurisdiction of the courts of Ontario with respect to any dispute or legal proceeding which may arise out of, under, or in connection with these Terms of Service or any Order Form. The United Nations Convention on Contracts for the International Sale of Goods shall not apply. Either party must initiate a cause of action for any claim(s) arising out of or relating hereto and its subject matter within one (1) year from the date when such party knew, or should have known after reasonable investigation, of the facts giving rise to the claim(s). 9.6 Export Control. The Terms of Service and any agreement between the parties are subject to any governmental laws, orders or other restrictions on the export of software programs and related information and documentation that may be imposed by governmental authorities. The Customer shall comply with any governmental laws, order or other restrictions related to export and re‑export (including technical data and any related information and documentation) which may be imposed from time to time by governments of Canada and the United States and any other applicable country. 9.7 Assignment. The Customer may not assign, sublicense or otherwise transfer any of its rights or obligations, or any right to access and use the Product, in whole or in part, including without limitation by operation of law, without BigRoad's prior written consent. Any attempt to assign without such consent will be null and void, and the Customer agrees to notify BigRoad immediately of any change of ownership. BigRoad may assign this Agreement and subcontract or delegate its obligations hereunder to any third party without the consent of, but on notice to, the Customer. Subject to the foregoing, the Agreement and the terms and conditions will bind and inure to the benefit of each party's permitted successors and assigns. 9.8 Severability. If any provision of the Terms of Service is found to be invalid by any court having competent jurisdiction, the unenforceable portion shall be construed in accordance with applicable law as nearly as possible to reflect the original intentions of the parties, or may be severed therefrom, and the remainder of the provisions shall remain in full force and effect. The invalidity of that provision will not affect the validity of the remaining provisions, all of which shall remain in full force and effect. 9.9 Waiver. Any waiver of any provisions must be in writing. Failure by either party to insist upon or enforce strict performance of any provision, or failure to exercise any right or remedy under the Terms of Service does not constitute a waiver of that right or remedy. 9.10 Entire Agreement. These Terms of Service, together with any Order Form and including all exhibits and schedules and any other documents incorporated by reference, including BigRoad’s Privacy and Anti-Spam Policy located at http://www.bigroad.com/privacy, collectively constitute the entire agreement and understanding between BigRoad and the Customer with respect to the relevant subject matter, and supersedes any and all prior written or verbal agreements, proposals or representations. In the event of an inconsistency between the Terms of Service, any Order Form or Documentation with respect to the subject matter hereof, the order of precedence shall be (1) the Order Form, (2) the Terms of Service, and (3) the Documentation, to the extent necessary to remedy such inconsistency. Headings in these Terms of Service are for convenience only and will have no legal meaning or effect. 9.12 Customer Confirmation. The Customer acknowledges that it has carefully read and understood the Terms of Service, and has been advised (i) to review the Terms of Service regularly to ensure the Customer is updated as to any changes, and (ii) to obtain independent legal advice before accepting these Terms of Service, and has either done so, or chosen not to do so.